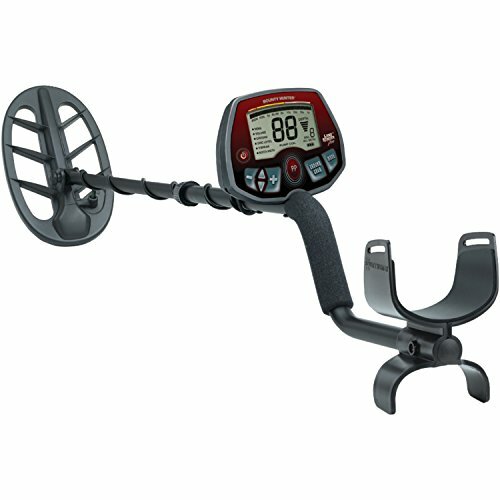 The Bounty Hunter Land Ranger Pro is high quality metal detector designed for precision and accuracy. If you are in search for a powerful but light metal detector, this MD should be at the top of your shopping list. This is not your regular metal detector, the unit carries multiple features which are aimed at pro hunters and will always give you a clear mental image of the targets in the ground. This is one of the best products from the Bounty Hunter Pro Series and a great way to upgrade your metal hunting hobby or career. What Makes This Metal Detector Great Choice? Modes – Whether you are searching for rare coins of jewelry you lost in the garden, the Bounty Hunter Land Ranger Pro will come in handle especially with its 7 preset modes. To make your search easy and fast focusing only the targets you are interested in, the product gives you the ability to choose from all-metal, 2 tones, 3 tones, 4 tones, artifacts, jewelry, or coins. The ‘tone’ in the preset modes is a representation of the frequency of particular targets. All these modes are part of the reason why this metal detector is receiving multiple positive reviews from consumers who have used it. Improved Notch Discrimination – After you have selected your preferred mode depending on what you are hunting for, the Bounty Hunter Land Ranger Pro has an improved notch discrimination feature which will allow you to cancel any trash. There is a Target Category Arc with a wide range of possible targets such as scrap metal, foil, and iron among many others. By rejecting these finds you will not get any alert when they are detected and this will save you time since you will not be concentrating on targets you are not interested in. It also means that when the detector alerts you, it is highly likely that you have found a good thing. Target Identification LCD Display – The Bounty Hunter Land Ranger Pro has been fitted with modern technology which makes things easy for you when you are searching for your targets. The target identification LCD display will give you a clear idea of what the detector has just detected. The device has a graphic icon library which is rich enough to show you a wide range of targets. The detector is therefore in a position to identify things such as bullets; bits of coils, coins and soda can tops. This information is then translated into an image on the LCD display. You will be in a better position since you will know what you have found before you start digging. There are a lot of advanced metal detectors that will present a challenge even for pros. Most people who have used the Bounty Hunter Land Ranger Pro have admitted that though the detector is fitted with the latest technology, it has an easy to use menu with straightforward settings and adjustments. The visual and audio cues further make using the device easy. It is as easy as selecting your mode and notch and you can start your hunt. On the menu, you will also get battery life information to prevent moments when the battery goes dead without knowing. When you are using a metal detector with low sensitivity, chances are high that you won’t find a lot. Whether you are interested in understanding the different tones or you want to be alerted only when there is something big, the Bounty Hunter Land Ranger Pro will come in handy. This is because the device has a 1 to 10 sensitivity settings scale, with 10 being the most sensitive. You can set whichever sensitivity level you prefer depending on what you are searching for and where you are searching. If your search takes you to the beach or to areas with water, then this device will still function especially because the coils are waterproof. This metal detector comes in an 8 inch or 11 inch models which are waterproofed to ensure that you can take your search underwater. The Bounty Hunter Land Ranger Pro is lightweight and will therefore not be a burden like most of the other metal detectors. Since you might be hunting for long hours, it is important to have a detector that is not too heavy and this is the perfect product. The Bounty Hunter Land Ranger Pro is probably not the cheapest metal detector in the market but carries a lot of features. The price tag is mostly based on the features you get. You can use this detector on land and in water and you will not have to spend time on junk since the settings will let you choose the targets to be detected. With the features and the ease of use, the Bounty Hunter Land Ranger Pro is a great product to consider.